I received a call from a prospective RTV virtual tour provider from Evansville Indiana. A very nice person who wanted to know more about the virtual tour business and about working with RTV. As always I enjoy telling my friends and family about my Virtual Tour Company and working with a company that supports you, with excellent customer service. But, this was the first time a perfect stranger called me from far away to ask for my opinion. I did not hesitate on anything and told him that this is the best decision I have ever made. I’ve had many businesses in my life time, but none that I’ve enjoyed more than making Virtual Tours, and what makes it more enjoyable is working with a company that is on top of everything. Always there when you need them, with the best customer service you can find. Knowing that if you have an issue or a problem, they will take the time to help you solve your problem. We are like a big family at RTV. We providers and staff are always in communication with each other through our forums, where we here tips and tricks of the trade and where we learn what works and what not works. It’s just great!! I believe this person in Indiana was very happy with what I said to him and very soon we will see him showing us his virtual tours with a big happy smile! Hello RTV fans and virtual tour providers from across the globe! I know that we’ve been off the radar for the last ninety days with regards to having regular talk shows and sending out emails to you, but trust me; we’ve been working VERY hard to create for you the most amazing, easy to use, and impressive virtual tour system in the world! We’re very close now. Many of you who are not following the progress on our Facebook account will be very happy to know that on Jan 16th we entered into an internal beta process and pushed back hard. No, we pushed back extremely hard and asked for several hundred changes in the new virtual tour system. We knew this would inevitably push back our launch date but getting the system to our virtual tour providers formed tightly around our vision is very important. By February 10th we had made enough changes that we were able to bring in some of our top virtual tour providers as focus group members. This small group had an opportunity to get a hands-on-experience with the new 360 tour system and of course, supply feedback to us. The feedback we received helped tremendously and so far has been very positive in nature. On February 24th we were able to officially enter into an open beta environment. We’ve now got about 100 RTV virtual tour providers playing with the new system. We’ve still got many edits, updates and changes that we’re looking to take effect, but overall the new system is headed in the right direction and the number of changes is limited. 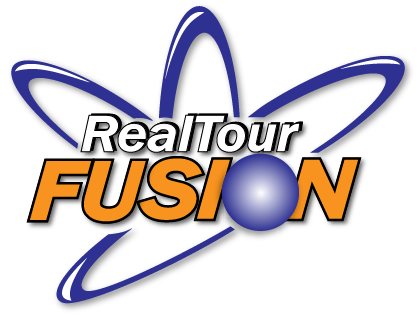 Presently, we’re expecting to see the birth of the new Fusion Mobile Tour later this week. This will be a very special delivery since it’s one of the last pieces we need in place to take the system live. Yes! That’s right, we’re very close now! Even though we’ve still got some edits on our bug list we feel that next week we’ll have a good idea as to when we’re going to kill the beta server and take the new virtual tour system live into the cloud. When this happens we’ll be scheduling our first 2012 webinar and will be holding those once again on a monthly basis. In fact, we’re also adding a new show this year that will be held weekly revolving around social media marketing training! We’ve put some sample Fusion tours below for you to look at. Please keep in mind that these are running off a single server here in Traverse City and for our beta testing we’ve limited the resolution. The images will be larger in the live environment and the tours will undoubtedly run at a much faster pace. Please also note that some of these tours have been branded to the photographer while others have not. It’s all possible in Fusion! We look forward to seeing you here in beautiful Traverse City! Finally, please watch out for emails as the event gets closer. April is going to be a very crazy month around here my friends. Keep your eyes on your inbox, get ready for the return of The IMAGE and The FORMULA, prepare for the RTV Convention, and most importantly I hope you’re all ready for Fusion. It’s going to blow your mind! We live in a world where styles change constantly and fresh images and interactive virtual media are always in demand. Professionals in every field, especially on the web, must be aware of these changes and possess the flexibility and imagination to stay ahead of the trends. The new rules of internet marketing are moving away from traditional monologue and making interactive virtual media a MUST. The central goal of online marketing is ENGAGEMENT. This means getting your customer or potential client involved with your assisted care facility, your products, and even your staff. When customers like what they see this creates a virtual relationship between your assisted care center and the customer right there on the Web. It hooks them in and encourages the most qualified clients, and serious inquiries to reach out to you online. Does your assisted care facility need professional photography or virtual tours of multiple locations? Let RTV use our vast network of professional photographers to provide you with high quality, high resolution digital photographs and save money. We cover all areas of the US and 27 additional countries, so it doesn’t matter where your assisted care centers are located! Coordinating with multiple photographers for several assisted care photography shoots in multiple locations is a serious administrative burden on your business. With RTV you avoid the headache of locating, hiring and coordinating suitable photographers for multiple locations. We streamline the process, providing you with high quality professional service at a consistent and affordable price. You get professional results faster at a lower cost without sacrificing your image. We offer nationwide coverage with hundreds of virtual tour photographers that cover coast to coast locations which is why so many companies enjoy using our assisted care photography service and getting professional photography at an incredibly low price! Other virtual tour and photography services may only cover large cities and metropolitan areas and take months to get to your assisted care center. RTV provides worldwide commercial photography services with its extensive network of over 1500 professional photographers and can therefore have each assisted care facility completed within two weeks. Why are quality professional photos so important in selling your property? Pictures in real estate are one of the main selling points to get you the money you deserve for your home or business; plain and simple. But there are many more in depth reasons that lead to success as a part of good images. Pictures that are of a bad quality and don’t highlight the best attributes of your home are not only a turn off to potential buyers, but will indefinitely lead to fewer leads and offers throughout the sales process. Having a good set of pictures to show of your real estate cannot just be worth a thousand words but thousands of dollars as well. Buyers across the country have rated photographs the most useful tool while searching for their real estate because people are naturally drawn to visuals for convincing. 80% of people who purchased a new home in 2006 used the internet while searching for their next purchase according to a survey of buyers and sellers alike. Photographs are known by agents as being one of the most important impressions and sometimes, the only impression, a seller has to make before the purchaser moves on. Think of photos of your real estate like the warm in person handshake to the potential buyer. It welcomes them into what you’re selling and shares with them the most important details of what they are looking to buy. It is not only a first impression; it can quickly be the last if not done properly. A strong visual of the real estate you are looking to sell can be the most vital part of finding the perfect buyer. Having a solid marketing campaign means you have a riveting set of high quality and quantity photographs of your home to let the purchasers know how important this is to you and them as well. You can also use these photographs for the virtual tour, websites, brochures, flyers, photo boards, newspaper adverts, and so much more. Paying for great value images is not a one-dimensional purchase by any means. The “multiple photographs and virtual tours” are consistently the highest rated feature of online research for homes followed by “map/directions”. People need a crisp and clear visual of what they are looking for before they commit to a showing. You can add more photos to your web listing than any other medium and for a fraction of the cost. This will prove to the impending buyer that you have nothing to hide and much to highlight when it comes to your lovely real estate up for sale. There was a study which monitored listings over a 30-day period; this study showed that properties which featured just one photo generated about five views and 1.37 leads opposed to listings that had over 21 images which received over 77 views and close to 11 leads. The remarkable outcome of this study proves whole-heartedly just how important virtual tours and visuals are to potential buyers. According to these studies, a $600,000 home, showing off only one photo, could sell for as much as 3.8% LESS or a loss of over $22,000, just because there was only one photo and no virtual tour accompanying the listing! More shocking is the fact that only 12% of agents posted 20 photos or more, demonstrating that if you put in the quality and quantity of photos buyers want, you will not have much competition to sell. Now think about this, photos are the most important factor to selling, right? Well, the previous findings we talked about don’t even go into depth of the importance of the QUALITY of these photos. Just think of the power of an amazing photo compared to one taken by a haphazard real estate agent who knows nothing of photography? The difference could mean thousands of dollars in your pocket and several weeks or months of days on the market. “LOCATION, LOCATION, LOCATION” is really “PHOTOGRAPHY, PHOTOGRAPHY, PHOTOGRAPHY!” If you think of selling your home as a business, you’ll be in the right mind set. You clearly want to get the job done in the fastest way, make the most out of it as possible, and do so without breaking the bank. Virtual tours with good quality photos are never a waste of money due to the large return on your investment. The difference between substandard agents who carry along an inexpensive digital camera is obvious to everyone looking at the listing when compared to top-notch photographs by a professional. It shows not only professionalism but the fact that the seller is serious about giving potential buyers not only quality information and photos on the property, but quality real estate as well! The most important thing to realize when looking to sell real estate is this: the internet is the most powerful outlet you have and your interactive virtual tours and photographs are the most important tool. When plugged into the outlet of the internet you have a significantly higher chance at success when selling. Give us a call today and let us photograph your properties. We’re sure you’ll see the difference right away! The term Virtual Tour may bring to mind Real Estate listings and buyers and sellers. While that is a major thrust and use of Virtual tours in today’s environment, it is by no means the be all and end all of the use of Virtual Tours in today’s lifestyle. Let’s begin with what a virtual tour actually is. There are various definitions of Virtual Tours and many people have different ideas of just what it entails and how it is presented. A virtual tour by the very nature of the term indicates that you can take a tour of some physical place, be it a home, restaurant, hotel or any brick & mortar building to which there is a wish for people/customers to become familiar or acquainted with in the hopes that 1) they may wish to visit 2) they will know or be able to navigate their way around upon arrival 3) they wish to buy, eat, visit, etc. the highlighted place. There are various ways of presenting these Virtual Tours. One way is to simply take still photographs and put them together into a slide show. True, you will see ‘virtually’ what you are not physically seeing in person, but that is no more than a picture. Useful, but not expansive. Next is a video in which the viewer is taken on a tour that the videographer decides what the viewer will see and the amount of time spent in/on a particular area. While this does give an idea of the layout of a home, business, etc. it limits the viewers ability to interact and decide where they would like to go/or go back to see without having to rewind/search with stop/go on the video to revisit. The ultimate Virtual Tour is totally interactive with the viewer being able to control where, when and how long they wish to view/remain/continue with the interactive virtual tour. Further, they can decide to return to a scene with just a click of the mouse instead of having to search/stop/go to find the scene. You may be thinking ‘how this has anything to do with my organization in my life’. With that said, please continue. There is another very useful way of using virtual tours, and that is in the area of personal property, insurance, and organization. Consider a fire or tornado or flood of your property/business. How many of you have a complete inventory of your possessions, to the degree that upon total loss you would have a list/remember all that was gone? I doubt that many of you will answer in the affirmative. It is obvious the results of this omission when you are trying to get your insurance agency to agree to the amount of money/replacements that you lost. So what can a virtual tour do for you? Considering what even one reasonably valuable item forgotten in trying to recoup losses is compared to the cost of an insurance virtual tour, and you will see the value of having this done and stored on a CD in an offsite venue such as a bank vault. Alamo Area Virtual Tours, a San Antonio virtual tour company provides this product at a very reasonable cost, especially when compared to the cost of not remembering, documenting your possessions/valuables. It is a way to feel peace of mind in the case of a catastrophe. Insurance alone is simply not enough. The burden of proof is upon you to prove what you had. No better way than to have an Insurance Virtual Tour completed, put on a CD, sealed, dated, notarizing the date and storing off site. Remember, even receipts can be photographed along with the item to better authenticate.